Applied Researcher & Developer, Ph.D.
Bio: Jianbo Ye receives Ph.D. in Information Sciences and Technology, The Pennsylvania State University. 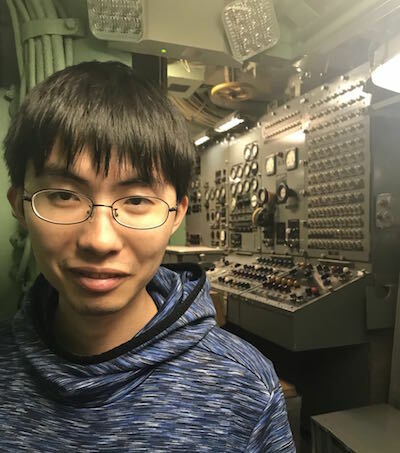 Advised by Prof. James Z. Wang and Prof. Jia Li, Ye developed scalable and robust numerical algorithms of machine learning models that apply optimal transport theory and Wasserstein geometry. He received B.S. degree in Mathematics from University of Science and Technology of China (USTC). He was a research postgraduate at The University of Hong Kong (2011-2012). He has worked as a research intern at Intel (2013) and Adobe (2017). Ye's current research interests include machine learning, optimal transport, computer vision, SLAM and affective computing. He is genuinely interested in developing AI solutions for the open world. (1-31-2018) Penn State News: Jianbo will join Amazon Lab126 as an applied scientist. This project also develops a scalable data analytic tool, called accelerated D2-clustering, to process large scale distribution data. It could potentially leverage hundreds of CPUs with a very decent scaling efficiency (say, 70-80%). If you are a government agency, an education institution, or a non-profit organization, we may offer you a FREE academic license of the C/MPI package to run on clusters. Please contact authors by email to discuss details. If you are commercial and would like to use our software, let us know and we will try to arrange to let you use. State-of-the-art unsupervised method to obtain a global nonrigid shape signature for shape retrieval and comparison. Yet another model reduction technique for deformable meshes based on approximation quality controllable subspace.